I am thankful for being prompted to write yesterday's parable. It was great fun and flowed easily once I was given the idea. God uses many things to prompt my muses including a request for a parable. My most common reoccurring theme in writing has always been analogies. As I thought this over, it dawned on me that often these analogies can move easily into parables. After all is not most of life filled with lessons gleamed from experience? You might wonder how, but it stands to reason that if Jesus taught us by using parables based upon day to day life, God might continue to teach us today with day to day experiences while traveling along the path. A few days ago I began to think about the movie, "Cast Away". 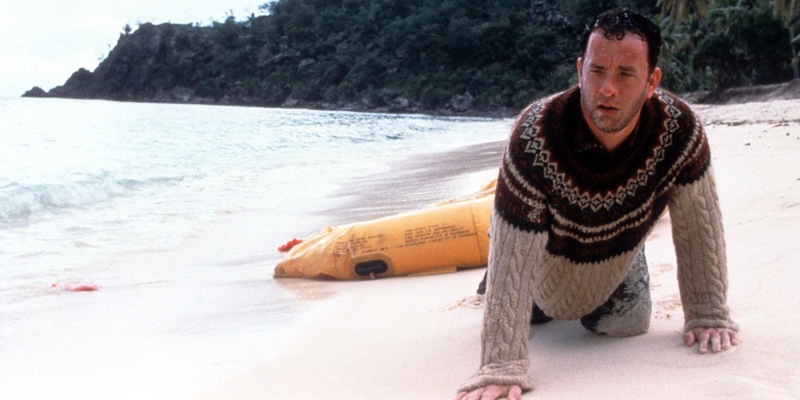 Almost 20 years old now, Tom Hanks did a splendid job of portraying a plane crash survivor washed ashore on a deserted island. If you think it over, there were several lessons to be learned in the movie, but today I will hone in on only one. 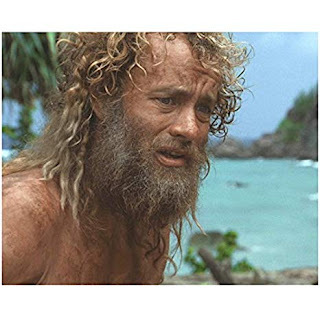 After the initial shock of discovering he had been the only survivor and he was indeed alone on the island, Chuck began to concentrate on survival and his day to day provision. His hard driven successful past was indeed, now a thing of the past. If he was going to survive, he had to concentrate on today and what it would take to meet his immediate needs. Fire, shelter, food, clothing, and water were essential for life. 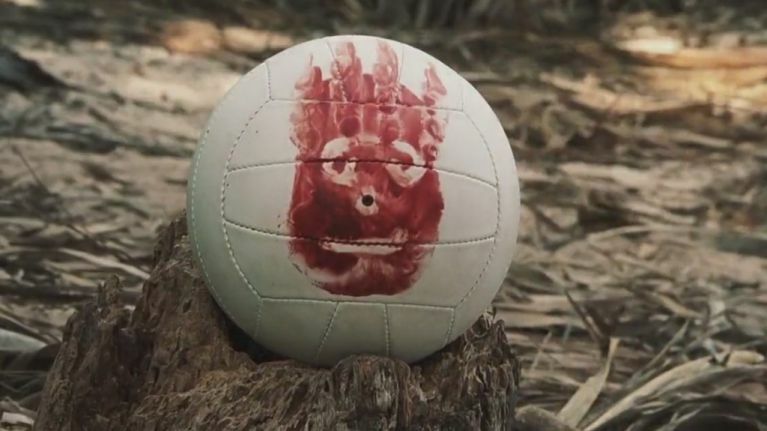 Why, Chuck even met the need for contact with other beings by making, "Wilson", the volleyball with a hand print for a face his new best friend. What had once consumed him, the need to succeed, had become a faint dream of the past. The corporate world was absent from this deserted island, and the reality of meeting basic needs became his new driving force. Along the way, Chuck determined he would never be rescued ~since he was out of the well traveled shipping channels. He could not swim or float away from the island because of the surrounding reefs. For all practical purpose, he was doomed to die alone, a prisoner, in the best sense of the word on the island that had saved him, unless he discovered a way to get across the reef. You know the story, but his rescue is not the point. Chuck did not give up in despair, but instead chose to make the most of the circumstances in which he found himself. Life certainly did not look the way he thought it should, but for the time being, there was no changing it. He made the best of what life had dealt and planned for the future and the return to home. In our Small Group Study, Priscilla Shirer addresses making the most of what God has given you for the day---well I might say for this season. Life may not look the way we thought it should. We have two choices--mourn for what should have been and live in the past, or make the most of where we find ourselves. We can live in the meager restraints of the past or we can cash in on the blessings of today and live life to the fullest--even when it does not look like we want. What a waste of time to become stuck in the "If Only's" and "What If's". Instead we should dwell on the "Why Not's" and the "How To's". Chuck returned to the "Real World" a celebrated hero, but his life did not return to the place it was when he left. The world had gone on, thinking him dead. He said his goodbyes to what had been and in the final scene is looking forward to the next chapter. He gained the strength to do this, by learning from his experience of surviving the deserted island. 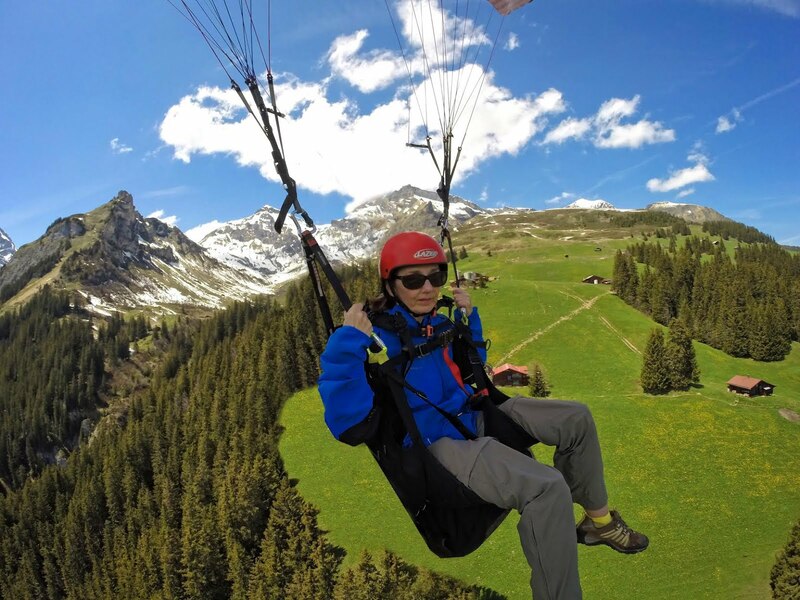 He had found the way to continue to live life and live it to the fullest--in any circumstance. A wonderful lesson in a movie meant to only entertain us. A modern day parable about a man named Chuck. There are many people today living on their own desert island all alone. Living in their current situation and mourning what could have been if only ... if only ... if only ... Instead of learning from the past and moving on, they carry all the burdens rather than the joys their past has bequeathed them. Exactly, Victor. What a waste of precious time! Absolutely perfect for this post! Exactly Victor. A wonderful post, Lulu smiles. Don't we love Victor's comments! Absolutely, Lulu! We need to live our lives in the moment, using any and every resource we have to tackle whatever challenge might be before us. We can do all things through Christ who strengthens us.